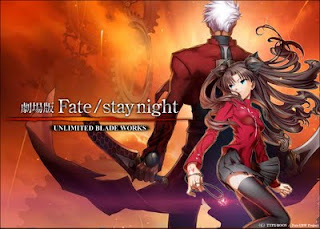 New UNLIMITED BLADE WORKS TRAILER! This looks amazing. I know, I know I shouldn't over hype myself or anyone else who reads this but I can't help it. The characters all look spot on, they got rid of that strange filter from the TV show, I recognize all the scenes shown from the Visual Novel, and the action looks top notch. Also if anyone has a higher res version of the picture with this article, I'd be grateful. This image needs to be my desktop background for the foreseeable future.